Who needs the Florida Boater Education Card? All boaters born on or after January 1, 1988 who operate any motorized watercraft of 10 HP or more need a Florida Boater Education I.D. Card. 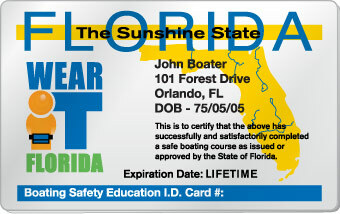 In Florida, anyone born on or after January 1, 1988, who operates a vessel powered by 10 horsepower or more, must pass an approved boater safety course and have in his/her possession photographic identification and a boater safety identification card issued by the Florida Fish and Wildlife Conservation Commission. Minors may become certified as there is no minimum certification age. No one under the age of 14 years old may operate a PWC. Boaters in Florida can operate a vessel on Florida waters without restrictions if they are older than 21 years of age. All PWC operators must be at least 14 years of age. It is unlawful for a person to knowingly allow a person less than 14 years of age to operate a PWC (a second-degree misdemeanor). 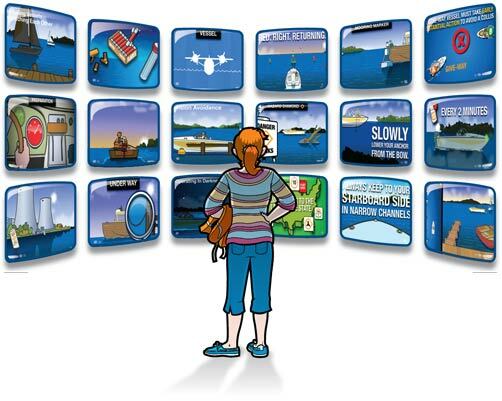 From laptop to mobile phone to tablet, choose when and where to take your boating course and get your Florida Boating Card. 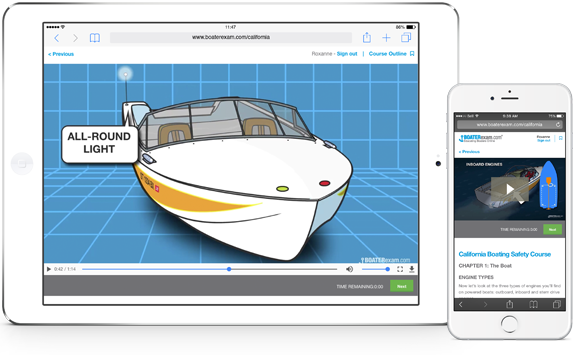 Our Florida boating license course features hundreds of rich engaging boating videos and animations. That means you aren't just reading: You're watching, listening and learning. This official Florida boating safety course is approved by the State of Florida's Fish & Wildlife Conservation Commission.